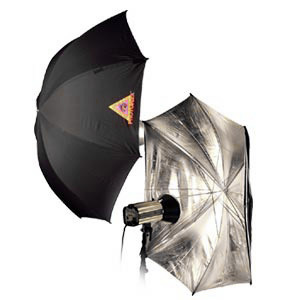 The Photoflex ADH 30″ Silver Adjustable Umbrella is the most versatile, highest quality silver umbrella on the market. 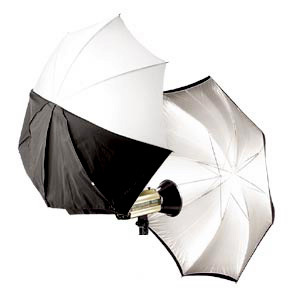 The Photoflex ADW 30″ White Adjustable Umbrella is the most versatile, highest quality silver umbrella on the market. Silver interior for maximum light reflection. Four moveable ribs make this umbrella adjustable; alter the shape of the umbrella. 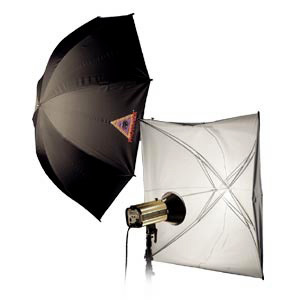 Can be used for strobe or hot lights. Also available in 45″ size).